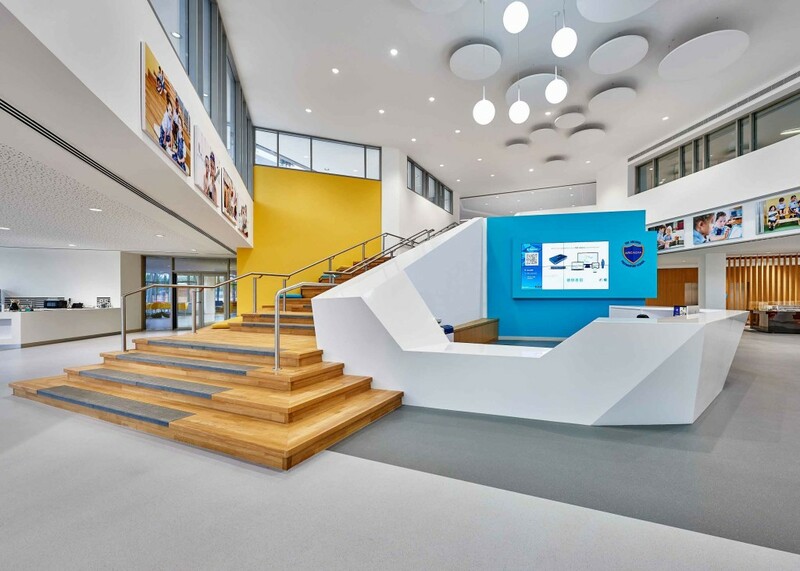 The design concept focused on creating centralised open zones for its main educational block with the age group classrooms wrapping around the central core of the building. 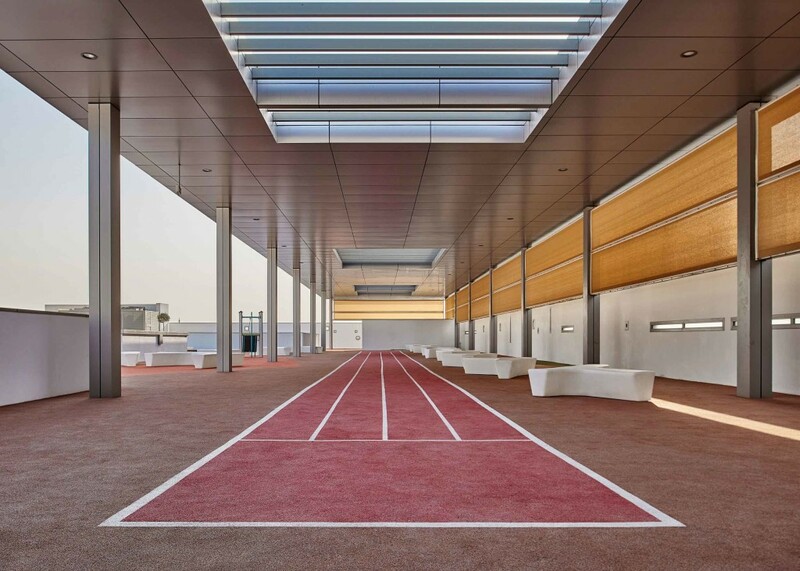 The creation of two external full height courtyards allows natural light to permeate throughout the school as well as enabling visual links from the core of the building out to the periphery corners. 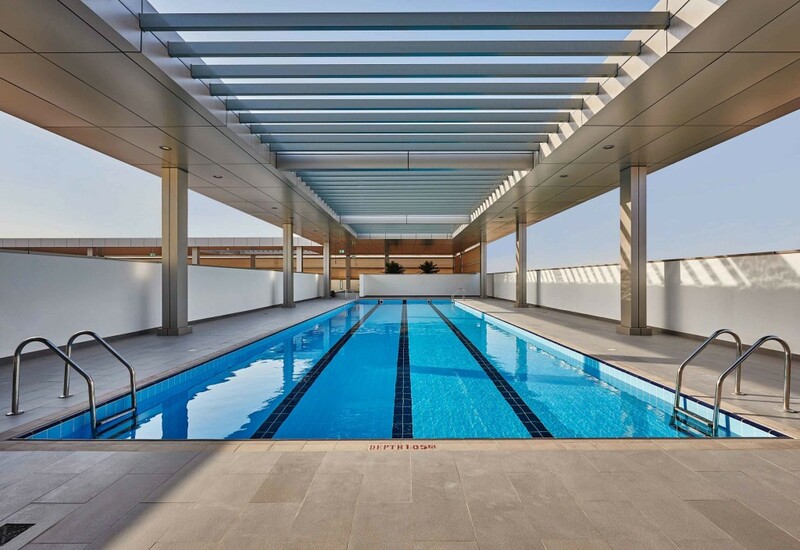 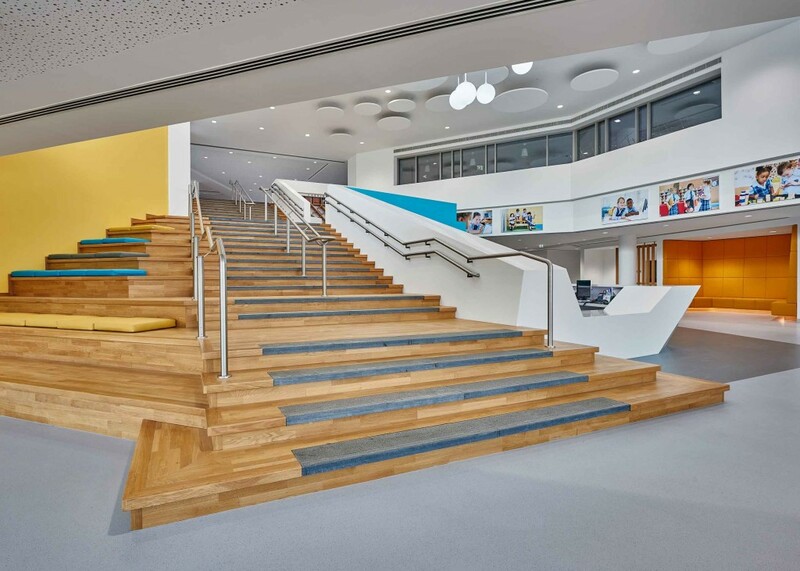 The interiors of the Arcadia Preparatory School are designed to reflect the high quality and progressive thinking of the education provided within its classrooms and shared facilities. 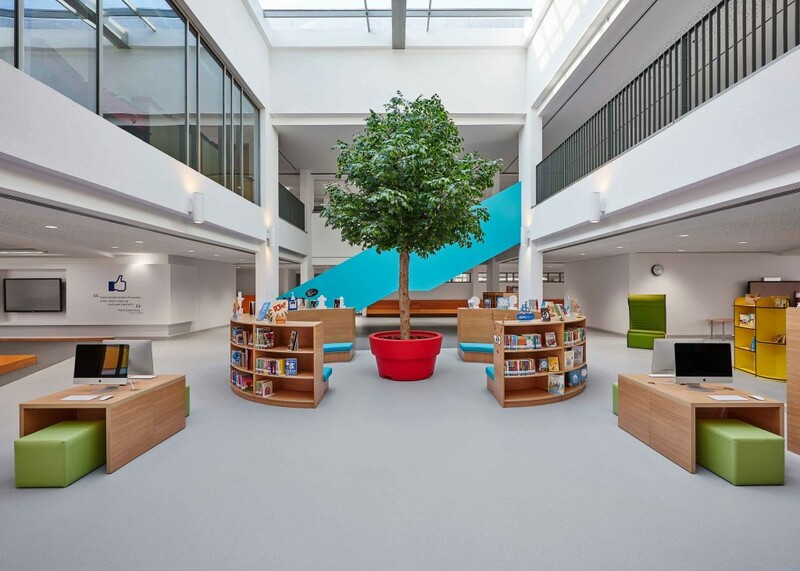 The sculptural entrance hub is the centre of this community with the library, exhibition space and dining providing a large open plan area for flexible learning experiences and functions.